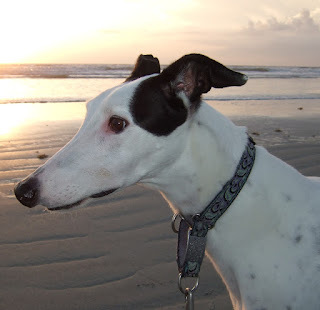 Last year, the Iowa legislature passed a law to phase out dog racing at one track and permanently end millions of dollars in annual subsidies for greyhound breeders. Unfortunately the Iowa Greyhound Association (IGA), which represents the dog racing industry, was able to win major concessions in the law. 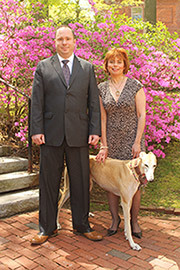 In the coming years, greyhound breeders will receive an outrageous golden parachute worth a total of $72 million. Half of these golden parachute funds can be used to operate a dog track in Dubuque. The law gives the IGA the exclusive right to operate this track, under a sweetheart deal that grants them a five-year property lease for only a single dollar per year. In addition to this waste, the IGA was given yet another $2.4 million state handout in March. After receiving one special favor after another, the new dog track in Dubuque is still a failure. We now have data for the first three months at the newly minted "Iowa Greyhound Park," and dog race gambling is down across the board when compared to a year ago. Gambling on live races at Iowa Greyhound Park is down a staggering 25%, as the Des Moines Register reported yesterday in a front page story. If we take a deeper dive into the numbers, the picture becomes even more bleak for the IGA. Remote gambling on the races held in Dubuque is down by 32.1%, and total dog race betting for the track has decreased by 26.2%. "What we are trying to do is make racing special, not make it a 24/7 activity because that model doesn't work. Our approach is succeeding." Meanwhile, the IGA has refused to make a single meaningful reform to improve greyhound welfare. In November I laid out four key changes the IGA could make to help greyhounds: a new system of housing, halting the use of anabolic steroids in female dogs, ending the use of "4-D" meat, and providing funding to ensure that every injured greyhound receives veterinary care. None of these changes have occurred. Instead of proving to the world that it is capable of reform, the dog racing industry has again put its personal profits ahead of animal welfare. Sadly, this new Iowa track can probably limp along for a while because the vast subsidy dollars the IGA will receive. Let history show that its Dubuque experiment was an economic failure on day one, and amounted to nothing more than another facility where dogs suffer and die. I guess Iowa has a lot of money to waste on bad ideas. Not only do they put a huge amount into a loosing cause, they can't find any to put towards the problems.